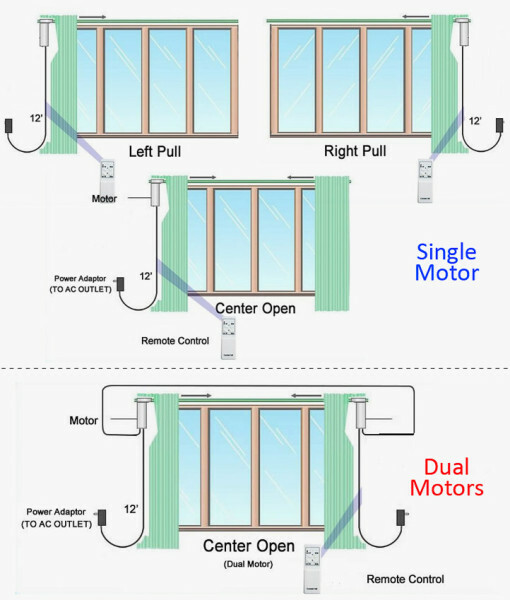 CL-920C3 Motor is powered with 3 open wires to be connected to the power lines directly. 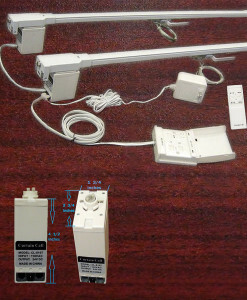 Remote Control is required to operate the curtain. 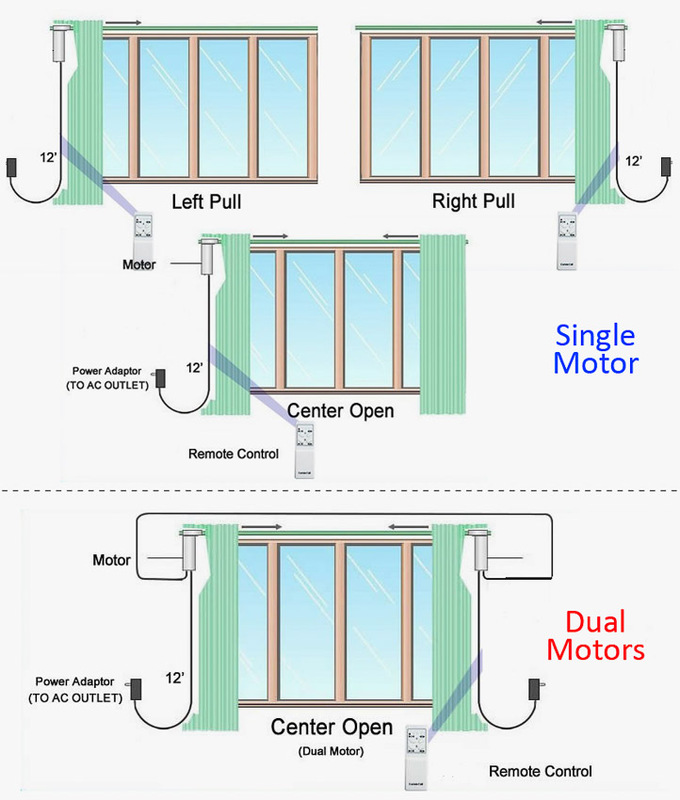 Hand pull the curtain a few inches forward/backward will also activate the Motor moving the Curtain to the end. 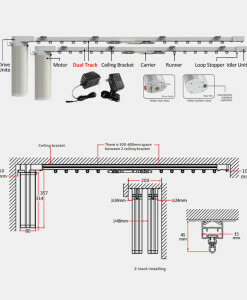 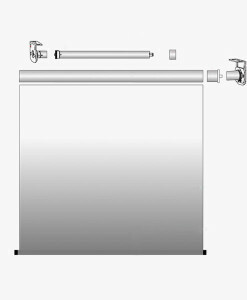 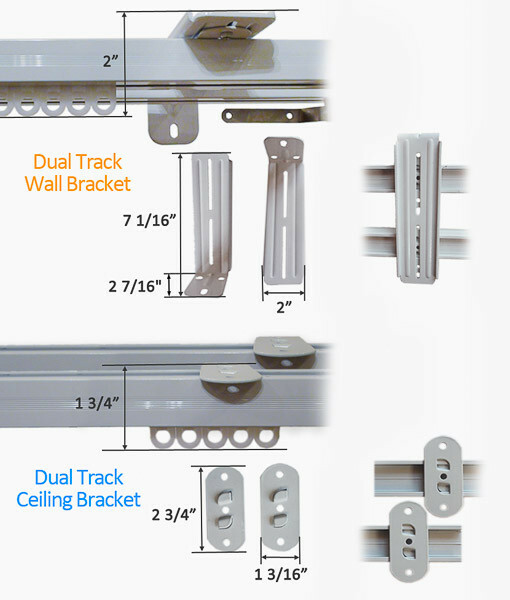 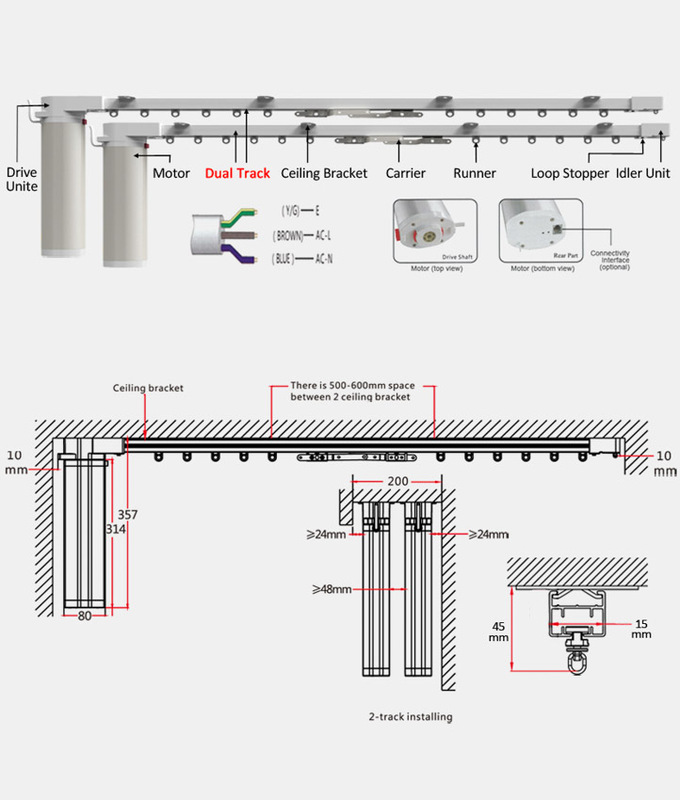 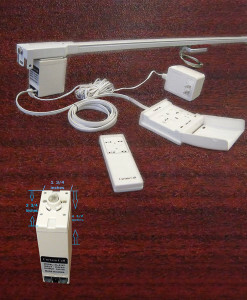 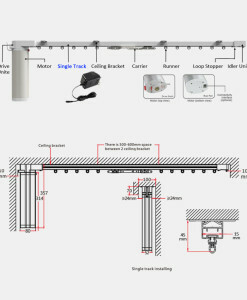 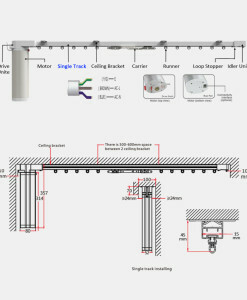 Price includes the specified size Motorized Track, Motor, Remote Control, Mounting Brackets and Curtain Runners. 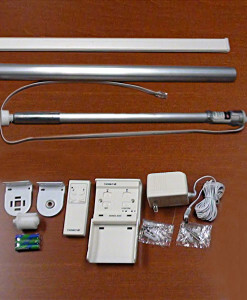 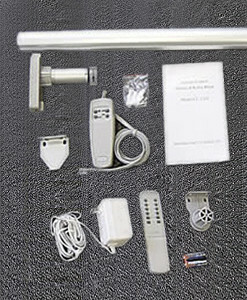 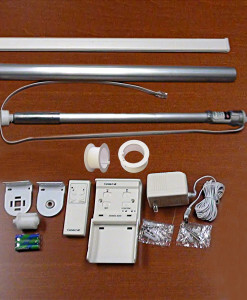 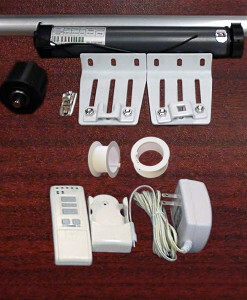 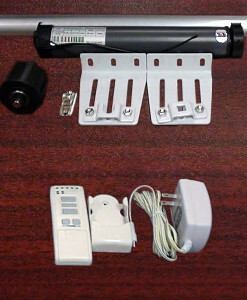 A complete system that comes with all necessary parts for automating your curtain. 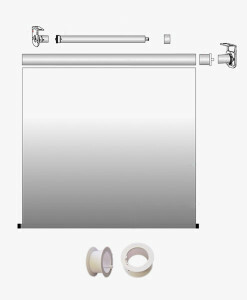 (The curtain itself is not included). 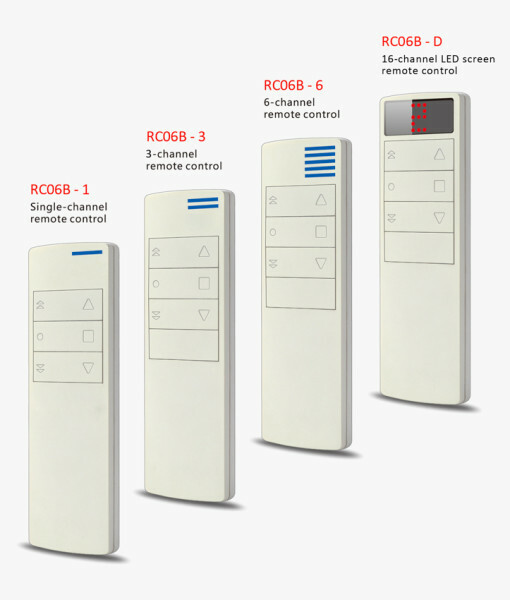 Dual-Track system is operated independently with the Remote Control.